Using state-of-the-art design concepts and manufacturing techniques, the new microprocessor based MX300 Oxygen Monitor offers unique features like LCD backlighting for easy viewing in poor light conditions. Audible and visual alarms for sensor disconnect and auto diagnostics with error codes to simplify troubleshooting. 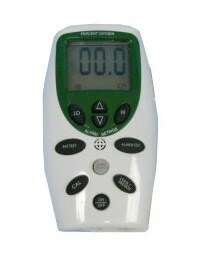 %%Calibration is made easy with the touch of a key and settings are secured when the lock key is pressed. The low power draw allows for 2000 hours of continuous operation on three AA batteries.